Someone is kidnapping young girls and bleeding them for a secret hidden in their blood. Their searching for a hormone that makes them stronger, faster, smarter. A hormone that the makers of a new drug called Destiny will murder to get their hands on. These girls could be anyone. They could be anywhere. When the little girl Skylar Reid babysits is kidnapped, and believed to be murdered, Skylar's world is turned upside down. And when Dana, a girl with extreme abilities, and her dangerously hot partner in crime, Milo, burst into town and claim that Skylar has the hormone in her blood, her life will never be the same. Now, the only way to stay alive is to join the fight against Destiny and become the ultimate weapon. 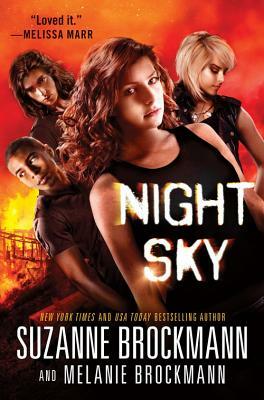 New York Times and USA Today bestselling author Suzanne Brockmann and her daughter Melanie Brockmann have written a pulse-pounding novel set in a near future both fantastic and frightening.